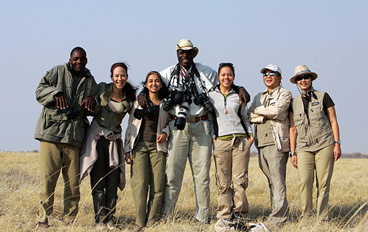 It is in the wilder regions of Zimbabwe that we concentrate our safari operations. The Zambezi is a mighty river offering an exceptional variety of wonderful scenery and water activities, coupled with superb national parks that harbour immense herds of wildlife and offer great game viewing, as well as one of the world’s natural wonders — Victoria Falls. Mana Pools National Park is located along the Zambezi River on the low-lying floodplains of Africa's Great Rift Valley and offers extraordinary game viewing combined with remarkable scenery with the mountains of the Rift Valley forming a picturesque backdrop. Adjacent to the Botswana border is Hwange National Park, home to some of southern Africa's last great elephant, buffalo and sable antelope herds. The Makalolo concession within Hwange National Park is a truly wild area where animals continue to use their ancient migratory routes. Last but not least, in Zimbabwe's southeast, is Pamushana in Malilangwe Wildlife Reserve – a remote, undiscovered area which offers spectacular game viewing. Each one of the camps in our Zimbabwe portfolio is small, exclusive and situated in the very finest wildlife locations in the country, offering a superb and unforgettable experience. 2017 was a historic year for Zimbabwe when peaceful protests encouraged former dictator Robert Mugabe to step down after 37 years in power. Tourism is currently going through a long overdue renaissance and Zimbabwe's elephants and other wildlife have benefited immensely from the dramatic increase in visitors. Giraffes are six feet tall when they are born. 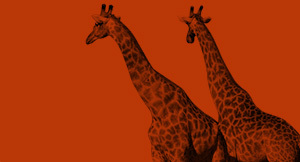 They are the tallest animals on earth and they reach heights of up to 18 feet. Giraffes have the largest eyes of any land mammal and other animals of the African savannah use giraffes as sentinels for spotting predators. The tongue of a giraffe can be as long as 18 inches and they can reach their ears with their tongue! Zimbabwe is a safari titan, blessed with teeming wildlife in Hwange and Mana Pools National Parks. With more than 70% of the Victoria Falls in Zimbabwe, this unforgettable safari uncovers the country's Northern highlights. Victoria Falls is a sight to behold at more than one kilometer wide and over one hundred meters deep! So too are the wildlife havens of Mana Pools and Hwange with their incredible game densities.